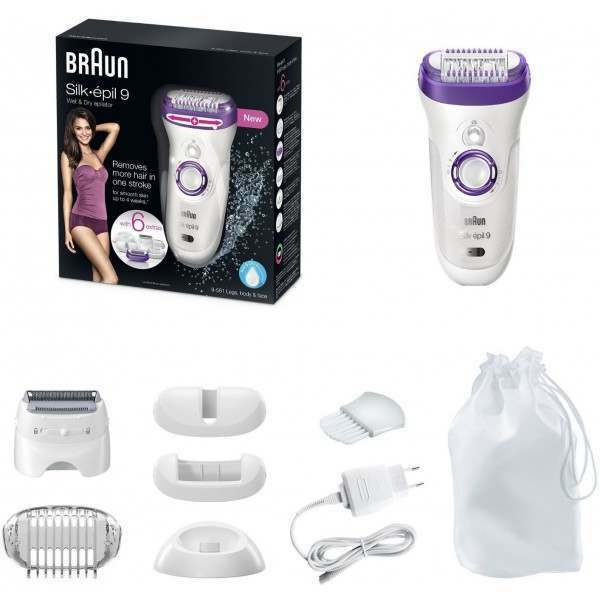 Braun Silk-epil 9 Legs, Body & Face epilator removes 4x shorter hair than wax, even as short as 0.5mm. The pivoting head effortlessly adapts to body contours providing a comfortable epilating experience. Wet and dry technology for extra convenience. Wet and Dry - Works in the bath or shower for a more comfortable epilation. 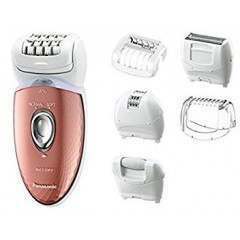 Moreover, epilation is virtually painless with regular use. 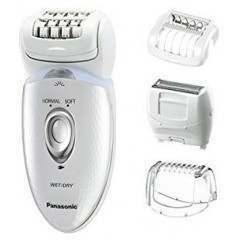 Pulsating Vibration - Pulsating active vibrations for an extra gentle sensation. Pivoting Head - The pivoting head smoothly adapts to body contours for more comfort and efficiency. 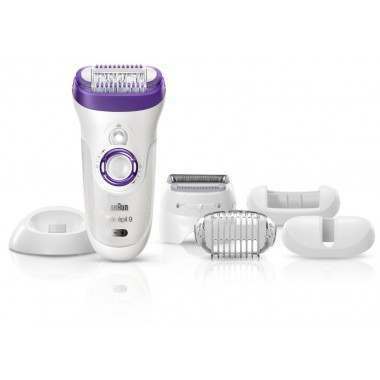 Smartlight - The smartlight reveals even the fine hair for extra thorough hair removal. 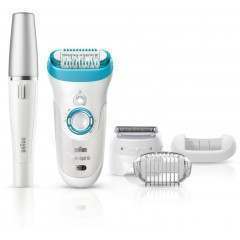 Removes More Hair in One Stroke for up to 4 Weeks of Smooth Skin - the 40 per cent wider head ensures even more hairs are captured and removed in one stroke, while the MicroGrip tweezer technology with wider, longer and deeper tweezers increases epilation performance, removing hair 4x shorter than wax. 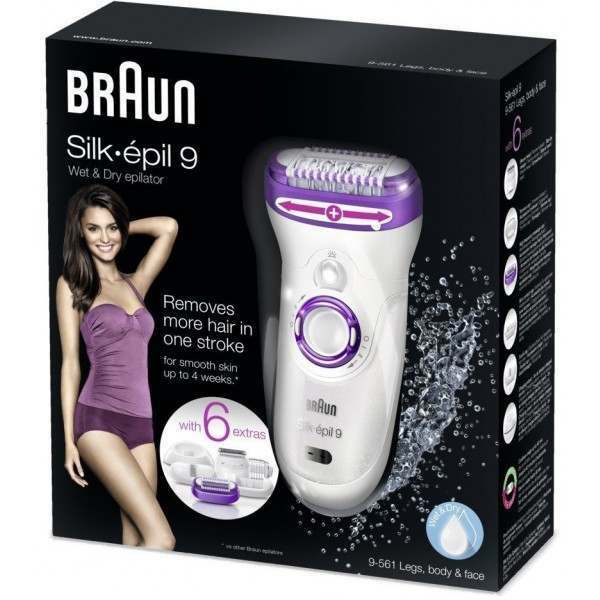 Is it safe to use the Braun Silk-épil 9 and 7 in the shower and bath? Will more hair grow back if I epilate? No, this has been proven in dermatological tests. In fact, studies show that ongoing epilation reduces the amount of hair re-growth, making them lighter, softer and fine, with a semi-permanent effect. Say goodbye to stubble that’s rough and hard and hello to 4 weeks of smoothness. How can I avoid ingrown hairs? An ingrown hair has curled backwards growing towards the follicle, often creating a small bump (also known as a razor bump). Ingrown hairs are often a result of too-close shaving. To avoid ingrown hairs, try exfoliating regularly (approx. once a week) to remove dead skin cells and “clear the path” so hair grows in the direction it’s supposed to. How do I go about exfoliation? You shouldn’t exfoliate intensively immediately before or after epilating as it may leave your skin feeling delicate. 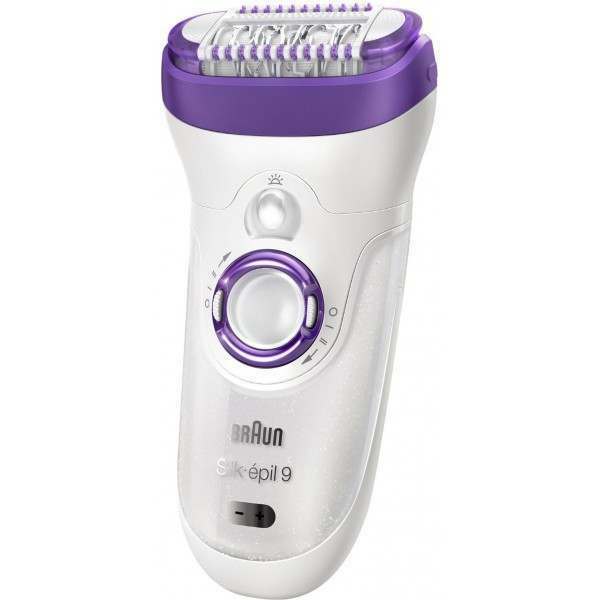 What are the benefits of the Silk-epil 9 MicroGrip tweezer technology? The breakthrough MicroGrip tweezer structure introduces a new wider epilation head and longer, deeper tweezers to increase the plucking efficiency and remove even the shortest hairs that usual waxing cannot catch. A new geometry also allows for closer skin contact. 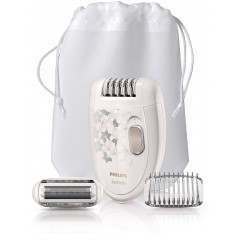 These improved features combined with the 40% wider epilation head make Silk-epil 9 the fastest and most precise epilator ever designed by Braun.